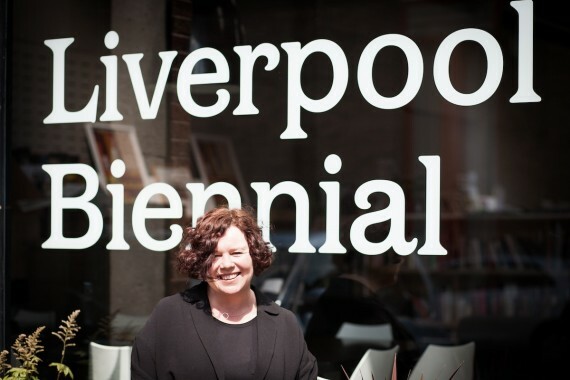 This year's Liverpool Biennial is the first that director Sally Tallant can really call her own, having arrived in Liverpool only a few months before the 2012 festival. Now with a new, earlier July start date and a refreshed approach, Laura Robertson finds out what has changed at the UK's biennial of contemporary art. It’s not often that you’ll hear of a festival director visiting every local artist, studio, venue and collective in order to get to know a place better. Yet that’s exactly what Sally Tallant did when, back in December 2011, she moved up north from the London’s Serpentine Gallery to take the helm at Liverpool Biennial. Arriving at a critical time – the 2012 Biennial was only months away – the new artistic director was determined to gain a full and honest reflection of how the festival was viewed. And, she says, she learnt a lot. “Not only had I just moved to Liverpool, I had to meet a lot of people and make new networks fast, because six months later we had to open the Biennial. The thing that is absolutely true of any city project like this is that it’s completely, 100% reliant on partnerships and the goodwill of many individuals and institutions. Those relationships have to be strong as it can be quite challenging. Liverpool was compared negatively with other biennials such as Manchester International Festival and Glasgow International, and the curatorial themes of previous biennials were questioned. It was also felt that the programmes were too fractured and lacked coherency. Crucially, there didn’t seem to be any long-term connection in the fallow years between biennials with either new or returning audiences, or festival volunteers that were core to the organisation’s operations. Renamed ‘the UK Biennial of Contemporary Art’ for 2014, the team concentrated on three key areas: building a real connection between the festival and the city’s inhabitants (including regular artist talks and family events outside the Biennial period and volunteer training through The City is a School); connecting with peers outside the city (including national, collaborative commissioning projects with South London Gallery, Frieze, the ICA and 1418NOW); and trying to improve communications generally. While in 2012 she was to a large extent inheriting a biennial, it’s clear that Liverpool Biennial 2014 will be Tallant’s festival. So what can we expect from this year’s event? The programme is certainly more focused, despite the extended running dates (July-October) and the absence of a theme (“I’m not sure that’s the best way of curating a festival,” says Tallant. “Why would I tell The Royal Standard what their theme should be?”). The core exhibition, curated by Mai Abu ElDahab and Anthony Huberman and titled A Needle Walks Into A Haystack, consists of a main show at the previously empty Old Blind School on Hardman Street – 16 artists, including Nicola L.’s ‘Functional Art’ objects made over a 50-year period – plus work in five other locations. One of the most radical architects of his generation, Claude Parent, is showcased at Tate Liverpool, transforming the Wolfson Gallery into a ‘machine for viewing’; slanted floors and ramps filled with Tate collection artworks that challenge the status quo. At FACT there’s film, photographs and sculpture by LA artist Sharon Lockhart, inspired by a young Polish girl named Milena, while the student homes at St Andrews Gardens get an intervention by experimental Belgian film director Jef Cornelis, and the Liverpool Medical Institution’s Victorian lecture theatre will host an evolving series of talks. 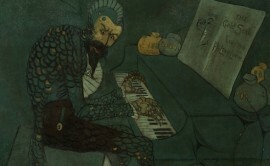 And in the city’s oldest art space and community hub, the Bluecoat, there’s James McNeill Whistler as you’ve never seen him before: an examination of the artist’s ‘attitude, motivations and commitment’. Also featured are the usual partner events the John Moores Painting Prize and Bloomberg New Contemporaries (opening in September), with complementary yet separate exhibitions at Open Eye Gallery, Liverpool John Moores University’s Exhibition Research Centre and many other fringe events. And how would she characterise this year’s Liverpool Biennial? “I know it will be ambitious,” she says. “By setting up a tempo over the 16 weeks, I hope that people will want to visit and revisit the Biennial … I want to make it part of people’s everyday lives. Liverpool is a place where art happens and where art is made and where ideas are tested.